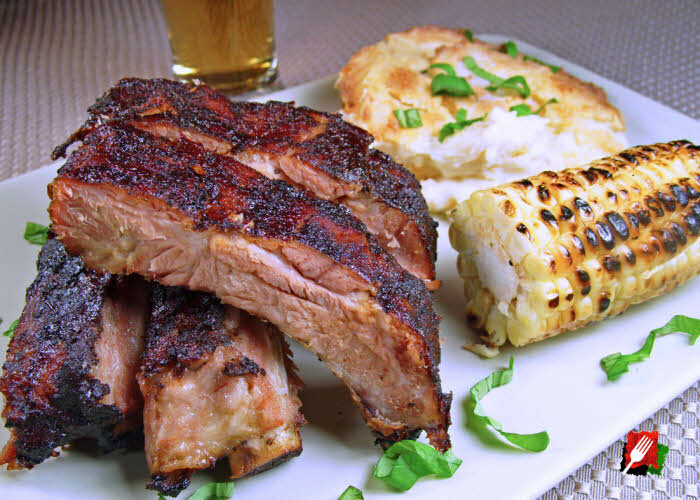 Preheat the grill to medium-high heat. 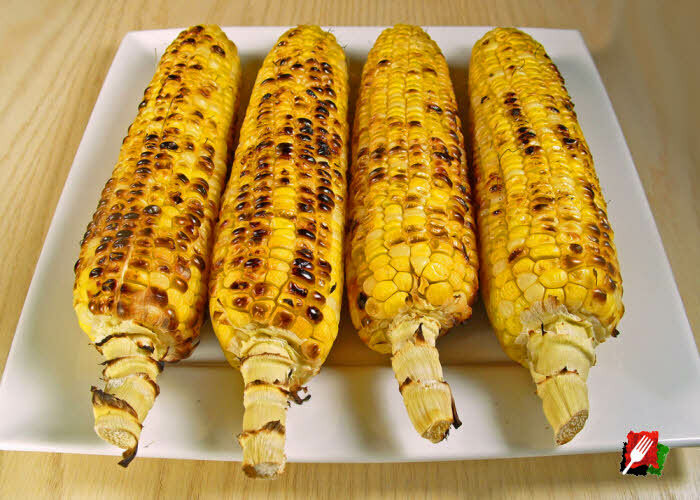 If grilling with the husk, peel back the husk and remove the silk from each ear, then fold the husk back and place the ears of corn in cool water in the sink or large bowl for about 10 minutes, then remove and let the cobs drain stem side up for a few minutes before grilling. Best Way! Preheat the grill to medium-high heat. 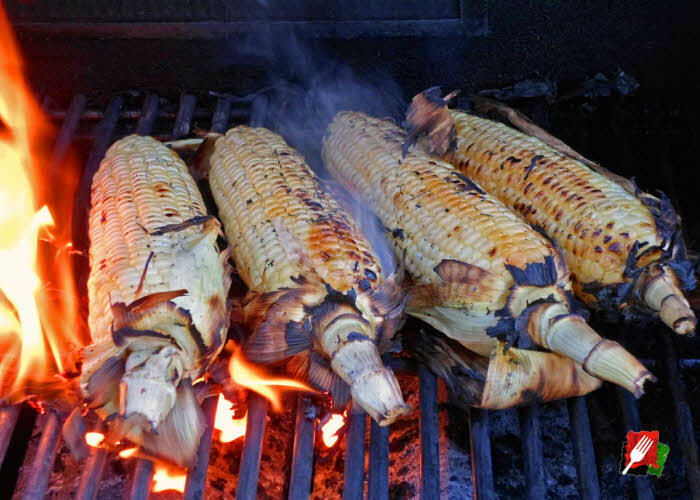 For much less mess, remove the husk before grilling. To remove the husk, simply strip the husk off down to the base and remove, complete with silk, leaving about 1″ of the stem in place. 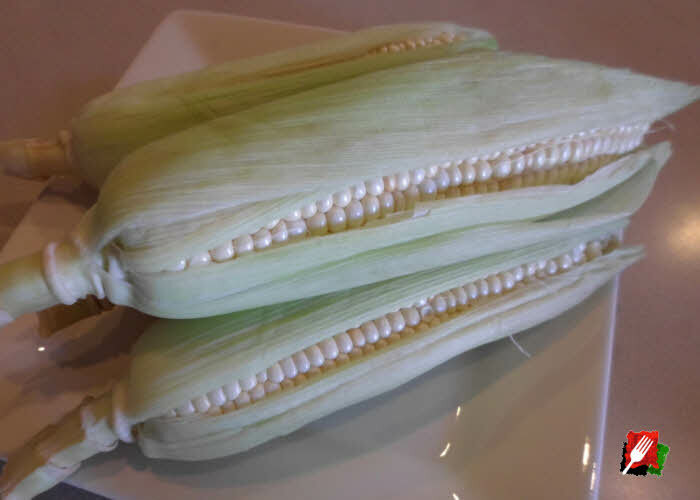 Place the ears of corn in cool water in the sink or large bowl for about 10 minutes, then remove and let the cobs drain standing up a for few minutes before grilling. 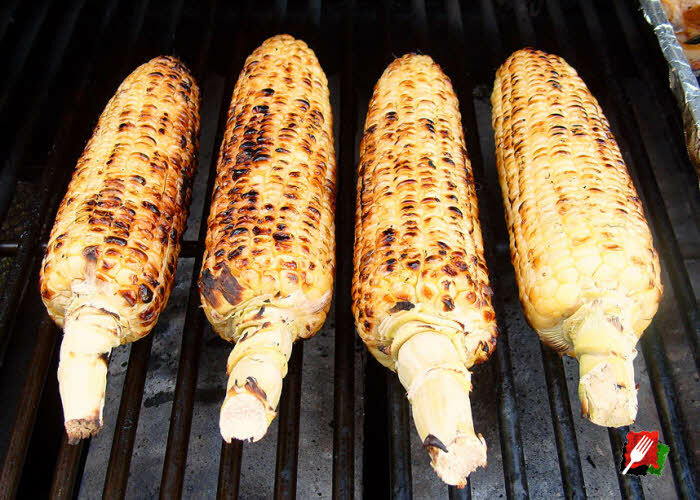 Place corn on the grill and close the cover for about 5 minutes or until the kernels begin to char then turn. 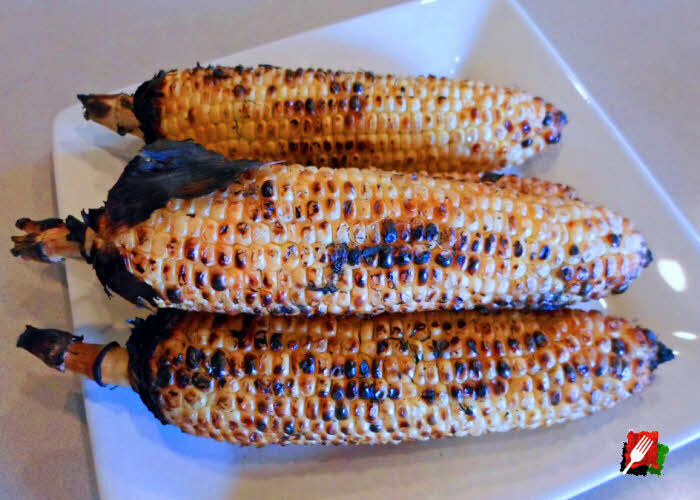 Continue to turn the ears every few minutes to prevent excessive burning until all sides are uniformly blackened and the kernels are tender, usually about 15 to 18 minutes total cooking time. 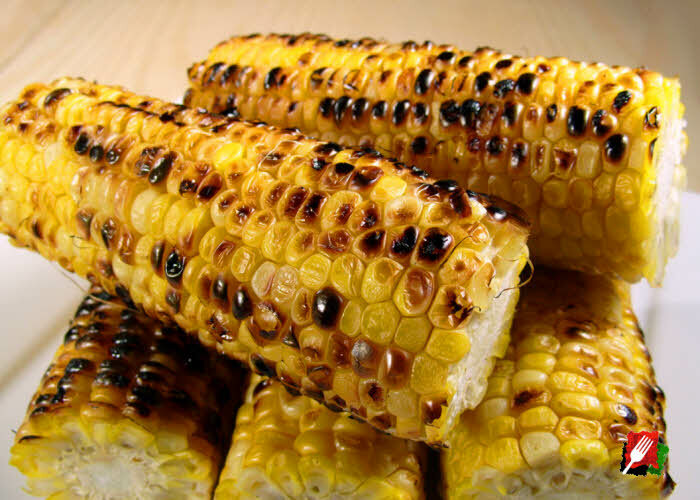 If the husks were left on, they will probably catch fire after drying out in 10 to 12 minutes. Just keep turning them until done, then remove the burned remnants of the husks outside (they can be messy!). When the corn is fully cooked yet tender, bring them in and serve while hot with butter and some freshly grated Pecorino Romano.